Join over 60,000 ZipBookers and subscribe for our tips on growing a profitable business. If you are already using QuickBooks as your accounting software, you might want to consider adding Intuit Merchant Services, now known as “QuickBooks Payments,” to your account. Read on for detailed information, pricing and reviews regarding Intuit’s payment processor. For a full rundown of the accounting products and services currently available through Intuit, check out this blog post: QuickBooks 2019: Everything you need to know. QuickBooks Payments, formerly known as Intuit Merchant Services, is a payment processor linked to QuickBooks. If you have a QuickBooks account, you can use this service to accept credit, debit or bank transfer payments and set up billing and invoicing. How does QuickBooks Payments work? QuickBooks Payments connects directly to your QuickBooks account (either Desktop or Online). This mean that you must have a QuickBooks account to get started with QuickBooks Payments. You can sign up for a free 30-day trial to see if their software is a good fit. Pricing structure is listed below. Next, you’ll submit an application in order to use the payment processing software. The application asks for general information, business details, owner details, bank routing information, and identity confirmation. When you submit your application, you’ll select which subscription type you’d prefer: pay-as-you-go or pay monthly (only available on the desktop version). Note: If you charge more than $7,500 per month, you are prompted to call (866) 827-9500 to save on rates. Once you’ve signed up, you can manage your payments through your QuickBooks account. If customers choose to fill payments directly in the app, they will also be required to sign a digital authorization form that gives you permission to charge their credit card automatically. 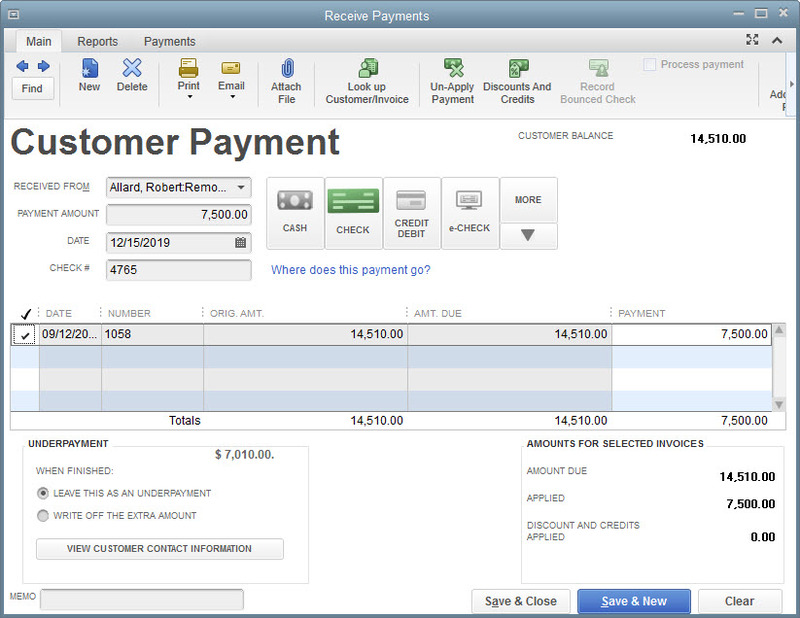 What are some of the features of QuickBooks Payments? Because QuickBooks Payments is produced by Intuit, you can link your payment processor directly to your QuickBooks account. This allows you to automatically store and sync all your payment details with your QuickBooks Online or Desktop account. This integrates all your payments with your accounting software in order to make reconciliation easy and to help avoid double entries. As part of your QuickBooks account, you have access to online invoicing. Using QuickBooks payments allows you to accept payments within your digital invoice. You can send invoices and receive payments anywhere as well as manage multiple currencies. If you need your payment processor to function on-the-go, get GoPayment as part of your QuickBooks payments purchase. When you sign up for GoPayment you get a free Intuit card reader that connects to your mobile device via Bluetooth. The basic card reader allows you to swipe, dip or tap all kinds of chip and magstripe card payments. When you order your card reader, you also have the option to purchase a more advanced model that also accepts Apple Pay, Android Pay and Samsung Pay. The pricing for GoPayment is the same as the online fees listed below (swiped and keyed-in). QuickBooks Payments integrates with web stores like Shopify in order to accept online payments for your e-commerce sales. The rates are the same as the “Desktop” prices listed below (swiped and keyed-in). If you are already using QuickBooks Point of Sale (POS), you can also easily integrate QuickBooks Payments with your cash register and inventory. Integrating your POS software with QuickBooks Payments allows you to sync your payments automatically with your books and your inventory. Point of Sale plans only work with QuickBooks Desktop and have a separate pricing plan. Plans start at $1,200 and POS hardware is not included. In December 2018, Intuit introduced next-day deposits for businesses using QB Payments. Clients accept credit and debit card transactions as usual and funds are deposited within one business day. How much does QuickBooks Payments cost? In order to qualify for QuickBooks Payments, you need to have a current QuickBooks account. You can link payments to a QuickBooks Online or Desktop account, but the pricing structures are different for each. For sole proprietors who file a Schedule C.
For sole proprietors, LLCs, partnerships, corporations, non-profits, and more. In addition to your QuickBooks Online subscription, you will incur certain fees using QuickBook Payments, though the monthly subscription is free. *To compare features between QuickBooks Desktop plans, read our blog post comparing QB Pro and QB Premier. In addition to your QuickBooks Desktop purchase, you will incur certain fees using QuickBook Payments. You can choose between two monthly subscription plans. If you are using QuickBooks Point of Sale as part of your Desktop account, you can choose one of the following plans in order to integrate QuickBooks Payments. What are people saying about QuickBooks Payments? QuickBooks is the most widely used accounting software for large businesses. For high revenue companies who already use QuickBooks and need a payment processor, QuickBooks Payments can be an easy solution. There are no monthly rates for the basic plan and the integration with QuickBooks accounting software is seamless. However, if you don’t already use QuickBooks for accounting, there’s no reason to pursue QuickBooks Payments. The transaction fees add up quickly and there is limited invoice customization. In general, the software is not always user-friendly and the actual tech is rather simplistic. 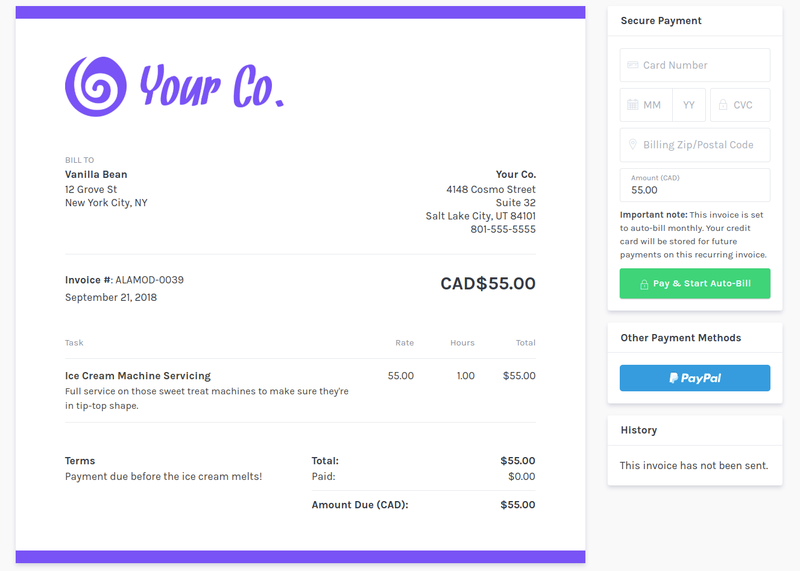 For smaller businesses or retail merchants with low ticket values, there are better—and more affordable—payment processors available. ZipBooks is a free QuickBooks alternative that offers the same functions you love from Intuit’s software and improves your invoicing processes. If you are considering QuickBooks Payments, but are dissatisfied with QuickBooks as your accounting software, consider switching to ZipBooks. The switch is easy and our merchant services are included with every ZipBooks account. You can process payments within the ZipBooks app using all major credit cards, PayPal or Square. Invoicing is easy and professional; we help you produce the smartest invoice with our “Invoice Quality Score.” ZipBooks invoicing makes it easy to track customer status and allows them to pay right away. In addition, all payments received are automatically reconciled with your books. QuickBooks Payments (above) has all of the necessary functions, but is overcrowded and simplistic. ZipBooks (the bottom image) makes invoicing clean and professional. Customers can securely enter credit card information or choose another payment method. The invoice your customer sees is the same format that you use to enter necessary information, making the process easy for you as well. We want you to find the payment processing solution that is best suited for you and your business. If QuickBooks has worked well for you in the past, QuickBooks Payments is an easy solution. If, however, you are looking for a better solution to your accounting, billing software and payment processing, we’d love for you to give ZipBooks a try! Rachel Cottam is a content writer at ZipBooks and a former high school English teacher. Her writing and editing have been featured in academic journals and tech websites alike.